Yucaipa’s Pizza Chalet is on the move! Its lease was not renewed at its longtime location at 34579 Yucaipa Blvd., so the owners moved the pizzeria about a block down the street to 34299 Yucaipa Blvd., in the former Community Bank building. The new location was scheduled to open last week, but the opening was pushed back due to problems with the gas meter installation. For updates, check the restaurant’s Facebook page. Update: The restaurant is open at its new location and is hiring! Click here for details. Spots are filling up for the next Let’s Dine Out Show Grub Club event, set for Sunday, March 9. The event will take place beginning at 5 p.m. at A.J. Barile’s Chicago Pizza in Yucaipa. If you haven’t made it out to the pizzeria for some award-winning pizza, this would be a good chance to do so. Plus you’ll get to hang out with Allan Borgen, Jeff Williams and the rest of the gang from the Let’s Dine Out Show. 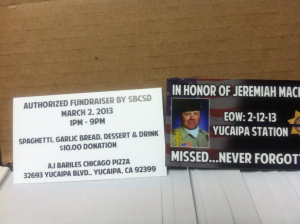 Jose’s Mexican Food in Yucaipa will be the site of a Tip-A-Cop event from 4:30 to 8:30 p.m. tonight (October 19). 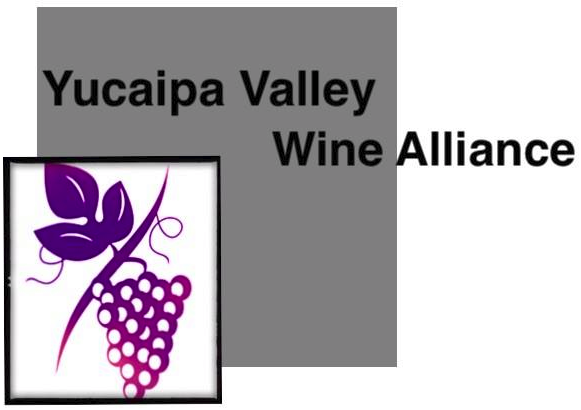 Yucaipa police/sheriff’s deputies will be serving food, not arrest warrants…well…unless they happen to spot a fugitive. Proceeds will benefit the Make a Difference Day Committee. Jose’s Mexican Food is at 33527 Yucaipa Blvd., Suite C7. The number of Inland Empire breweries continues to grow unabated. There are several breweries that have recently opened or are opening soon. Follow the jump to find out where to find them. Award-winning A.J. Barile’s Chicago Pizza is showing its generosity yet again. The pizzeria, which last month held a spaghetti dinner fundraiser for the family of sheriff’s Detective Jeremiah MacKay, who had recently died in the line of duty, is hosting another spaghetti dinner fundraiser. This time it’s for sheriff’s Deputy Alex Collins, who was wounded in the same shootout that claimed MacKay’s life. Congratulations go out to Joleen Piser from A.J. Barile’s Chicago Pizza for taking home the division prize at the International Pizza Expo the second year in a row. Joleen took first place in the Southwest U.S. Region, Non-Traditional Division, and also competed in the world finals competition at the expo, held last week in Las Vegas. This is Joleen’s second year of competition. Last year, in addition to winning the regional division, she came in second in the world finals competition. Joleen is only 19 years old. Yucaipa’s Brew Rebellion has taken another step towards opening. The brewery has filed paperwork with the ABC in Riverside to open at 13444 Cailfornia St., Yucaipa. The brewery is also planning its second bottle share at 4 p.m. Saturday, January 19, at the future brewery. Mark your calendars now. For more information on the bottle share, click here. For updates on Brew Rebellion’s progress, “Like” ’em on Facebook. If you haven’t yet checked out our favorite sandwich shop, Matano’s Little Italy, you better hurry! The deli is closing July 28 and will reopen more than a month later, on September 4. Maria and company are taking a well-deserved summer vacation. However, we will miss her delicious sandwiches, lasagna rolls, tiramisu and other delicacies. If there was ever a reason to brave the insane Yucaipa Boulevard roundabouts, Matano’s is it. We (and those who have given Matano’s a five-star rating on Yelp) will have to find somewhere else to lunch during the month of August. Matano’s Little Italy, 12114 California Blvd., Yucaipa, is normally open 11 a.m. to 3 p.m. Tuesday through Saturday.